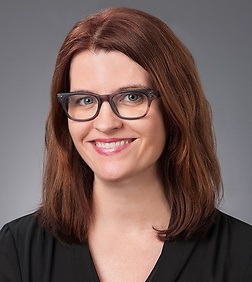 Lynsey Mitchel is a partner in the Corporate Practice Group in the firm's Century City office and is a member of the firm's healthcare practice team. Lynsey represents hospitals, managed care organizations, medical groups, pharmacies, home health providers, medical device retailers and other healthcare entities and providers. Lynsey has deep expertise in managed care, including HMO regulatory matters and has assisted numerous clients to obtain HMO licensure as healthcare service plans under California’s Knox-Keene Health Care Service Plan Act. Lynsey has represented approximately half of all currently licensed restricted Knox-Keene HMO license holders in California in their licensure process. Lynsey has worked on HMO licensure and other matters for Medicare Advantage, commercial and Medicaid health plans. Lynsey also assists health plans with regulatory compliance matters, material modifications, growth strategies, acquisitions, training, and drafting and negotiating provider contracts, plan-to-plan contracts and pharmacy benefit manager contracts. In the managed care sector, Lynsey represents payors and providers participating in accountable care organizations (ACOs), bundled payment initiatives and other cutting edge risk-sharing arrangements, including pay-for-performance and gainsharing arrangements. Lynsey works with national and regional health plans (including full service and specialty plans), as well as large health systems and physician groups, on a broad range of matters including population health management strategies, provider employment, risk-based, performance-based and value-based payor and provider contracting, compliance, acquisitions and physician alignment strategies. Lynsey’s practice is focused on licensing and other regulatory compliance matters, business transactions, patient privacy issues including HIPAA and HITECH Act compliance, and telemedicine, as well as Medicare and Medicaid reimbursement and certification. In addition, she counsels clients on state and federal fraud and abuse issues, including the Stark Law and anti-kickback and fee-splitting laws.